People often ask me if we pack away the metal detector once winters arrives in Wisconsin. My response is No! While we won’t be digging in the dirt, our metal detectors still work the same in the cold weather and in the snow. Some might argue it can be easier to look for a lost ring in snow than a lost ring in grass. A lost ring in snow will likely not be pushed into the ground when accidentally stepped on, because the ground will be typically frozen. It seems people are just as likely to lose a ring in the winter as they are in the summer. Cold weather can cause fingers to shrink and result in a ring that fit just right to a ring that is now a little loose. Add in taking winter gloves on and off, and you have a recipe for a lost ring in snow. Cold weather can also numb your fingers a little, so you won’t even feel the ring being pulled off by your gloves. Upon returning to your house, you suddenly realize your wedding or engagement ring is missing. How to Find a Lost Ring in Snow? Lost Ring in Snow – Now What? 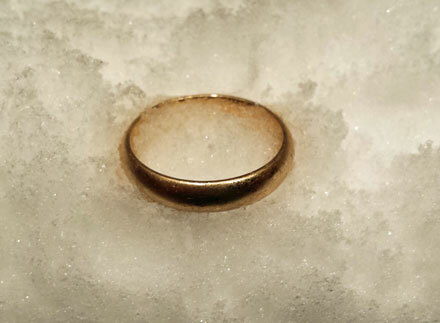 What to do if you find yourself with a lost ring in snow? Just call us at 608-492-1070 and even if we are not in your area, we will help connect you with someone who is. I’ve heard stories of people trying to melt the snow where they think they lost their ring. 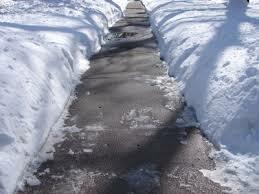 This sounds messy and could result in a huge ice mess once the melted snow freezes. People have also told me that they have shoveled the snow into a big pot and melted it on their stove. Sounds like a lot of work to find a lost ring in snow. Just call a professional with a metal detector and he/she will be able to locate it a lot easier and without all the hassle. Here at www.LostandFoundRing.com, we have been on numerous lost ring in snow hunts. Below are some links to successful lost ring in snow recoveries. The thing that all of these stories have in common is the people called me immediately after losing it. 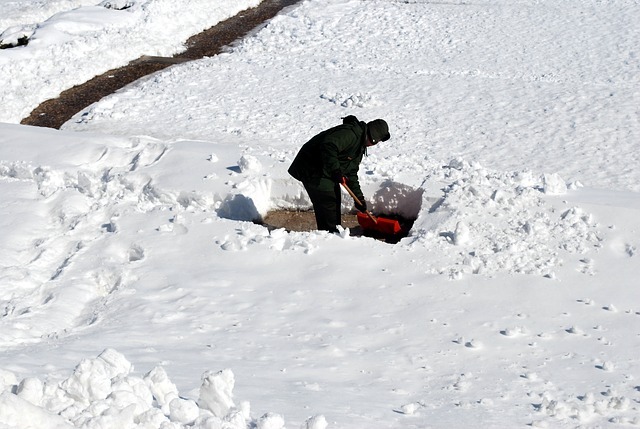 You want to be sure someone doesn’t move the ring by shoveling, plowing, snow blowing or even making a snowball and moving the lost ring to a completely different location. If you have lost your ring, don’t panic. First, mark the area you were in. This will be important when we come out to search with our metal detectors. Having a picture or description of your ring is also helpful. We can tune our metal detectors to look for certain type of metals (gold and silver) and ignore other types of metals (iron). The most important thing is to call us right away. Time is the most important factor when finding a lost ring.